What a beautiful and busy month packed with events! 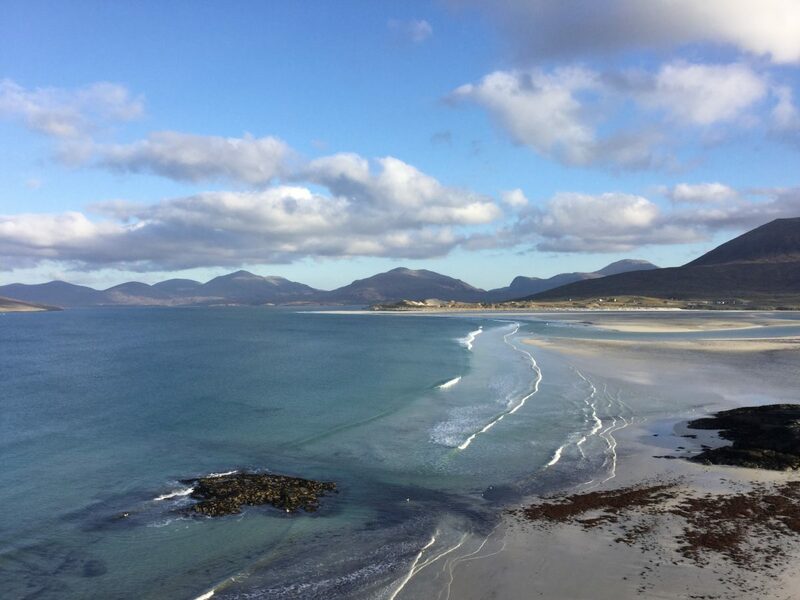 We have had a proper taste of Hebridean weather over the past month with everything from snowstorms to pure sunshine and everything in between. February began with our biggest conference to date as we welcomed Third Sector Hebrides to Talla na Mara. There were almost 40 delegates taking part! 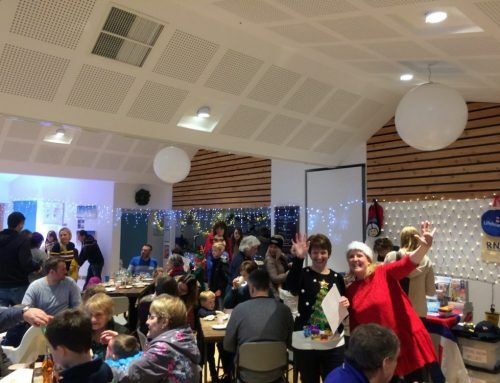 It was amazing to see the building buzzing with life and so many people involved with volunteering in the Outer Hebrides. 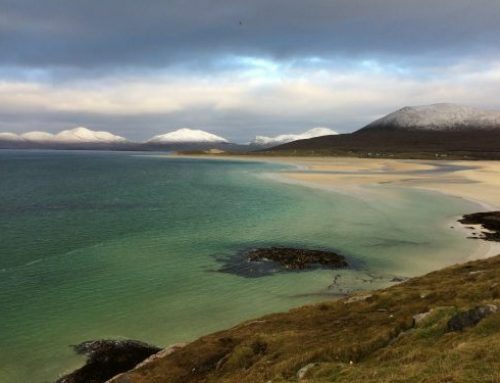 West Coast Media led a session on the future Tourism Destination Strategy for the Outer Hebrides. It was great to hear so many different perspectives from media experts and tourism business leaders. 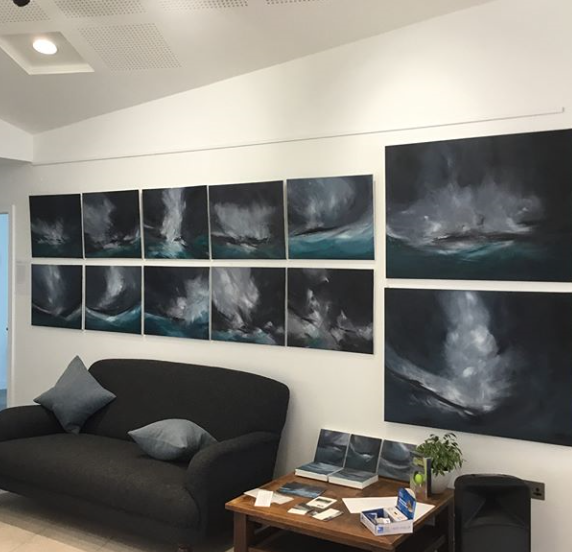 February also brought with it our first exhibition of the year with Elaine Murrays exhibition ‘Seaward Approaches’. 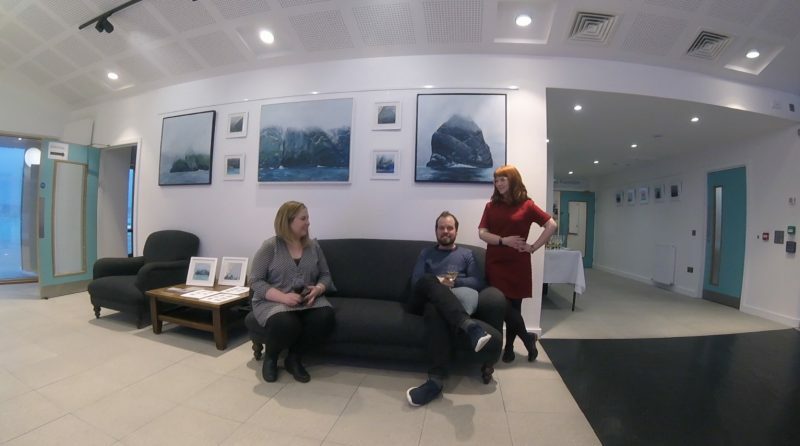 Elaine lives on the Isle of Lewis and has only just begun on her artist journey with her exhibition at Talla na Mara being one of her first. 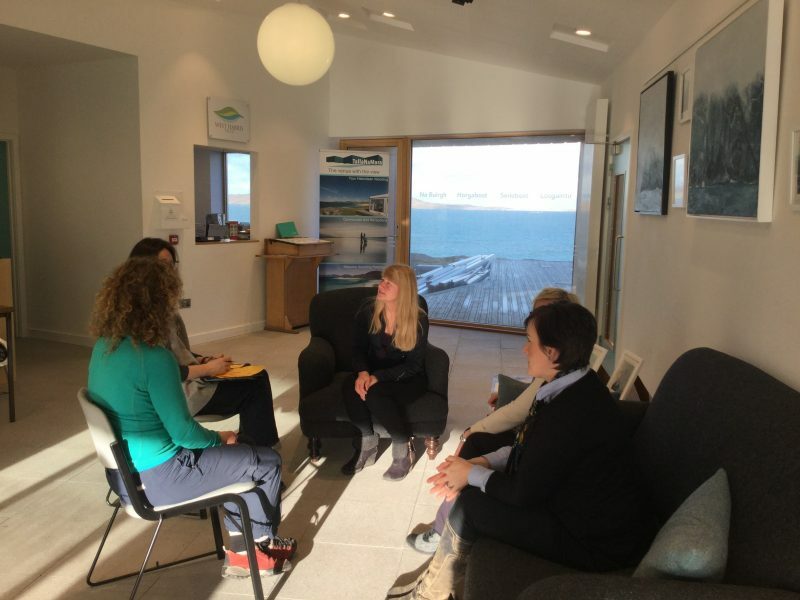 She is on a mentoring programme with An Lanntair, and we were keen to support her. We were extremely happy to be able to provide her with an opportunity to continue developing as an artist. While also giving her a stage to showcase her fantastic work to a wider audience. Elaine and her crew of helpers brought with her the most amazing selection of canapes and nibbles, with the homemade beetroot hummus going down a storm! 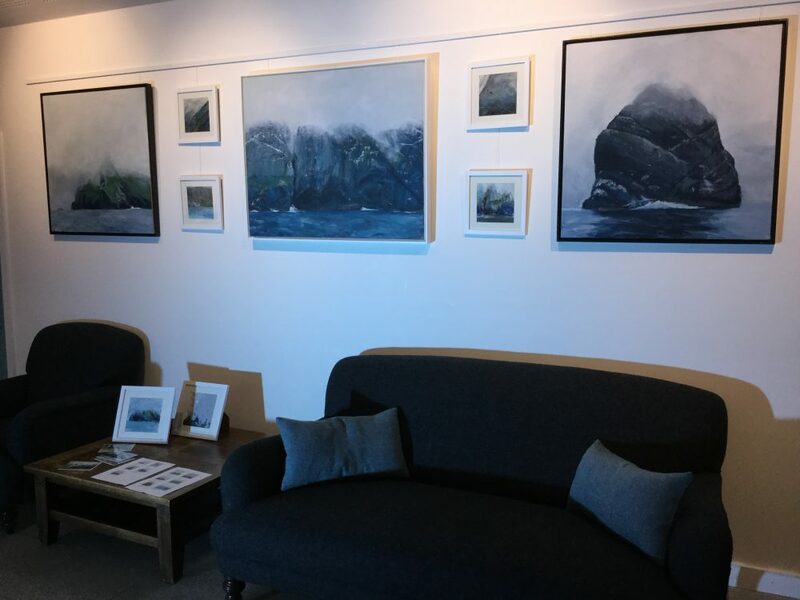 The exhibition was focussed on Elaines time spent at St Kilda capturing the dramatic sea cliffs and shifting weather patterns. Her depiction really made you feel connected to the ancient archipelago. Desperately imaging what life must have been like for those living there not so many years ago. 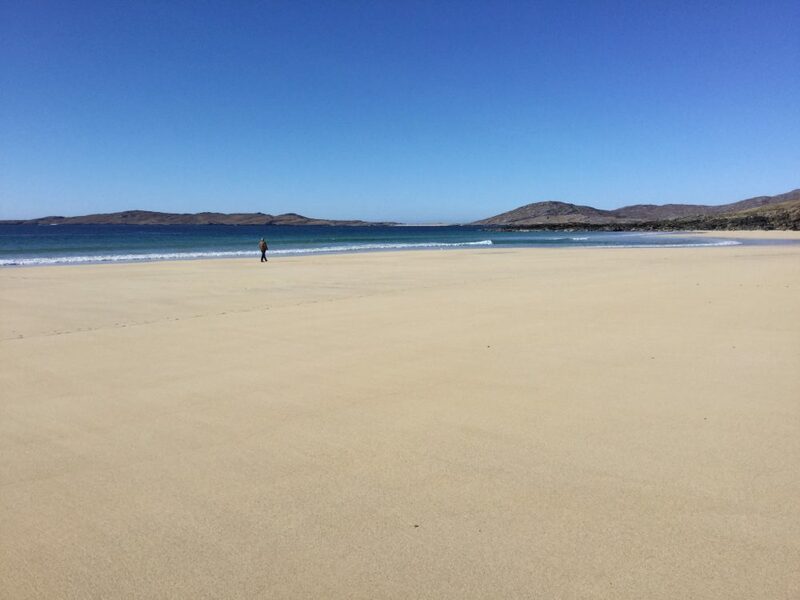 It’s hard to write a blog in West Harris without mentioning the famous Losgantir beach. Recently voted as the UK’s second-best beach by Trip Advisor missing out on the top spot to Bournemouth. 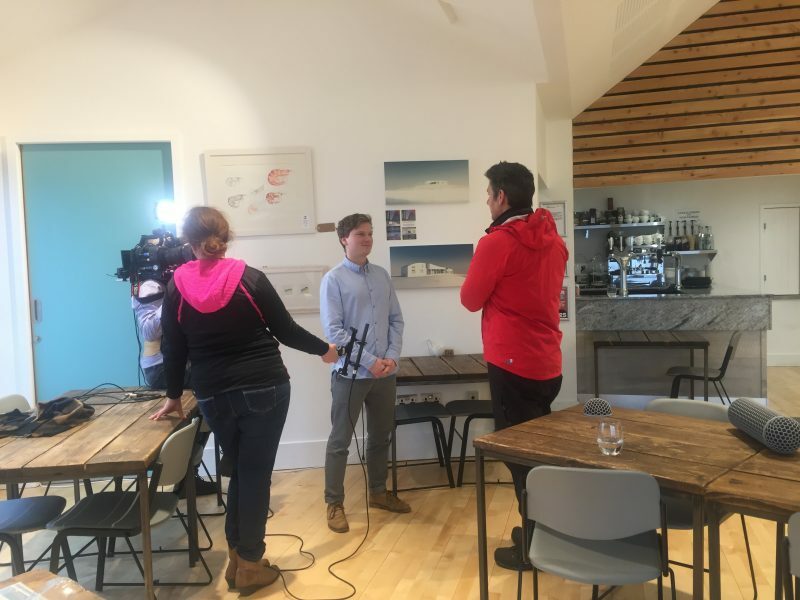 STV were quick off the mark and came down to do an interview on the subject. 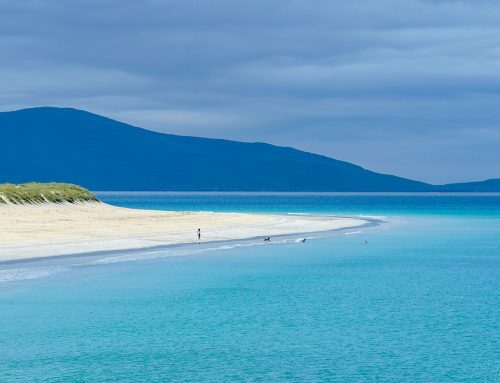 We weren’t aware Luskentyre had won an award at this point! Leading to an impromptu TV cameo from Mark! 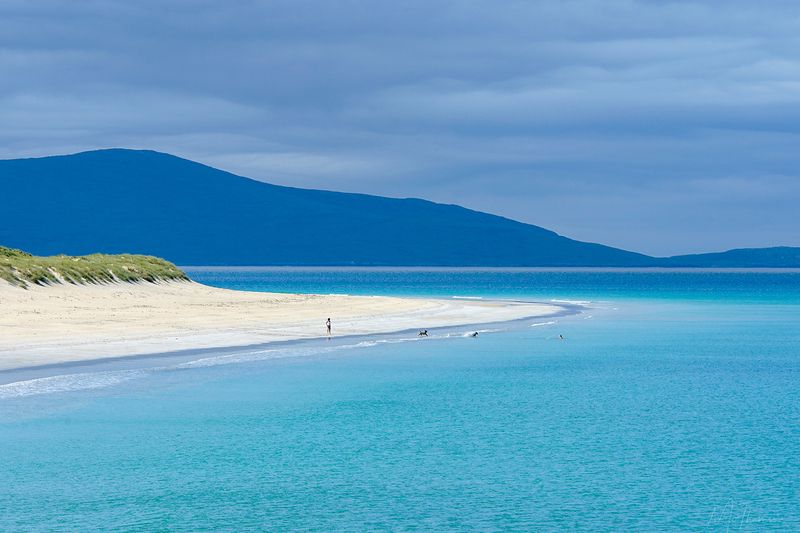 Dougie Vipond and his team had intended to take a trip out to the Shiants for some filming. However they were battered and bruised by the rough sea on their journey over and along with their equipment got a good soaking. As a plan b they decided to come down to Talla na Mara and have a chat with us. 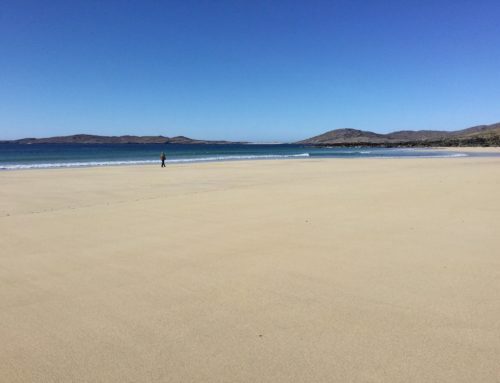 The discussions were based on the progress that community land ownership was making across the country with the West Harris Trust being used as an example of that. Once again Mark was on hand to give his showbusiness career a second attempt! The conversation with Dougie touched on the history of the Trust and where we are heading in the future. 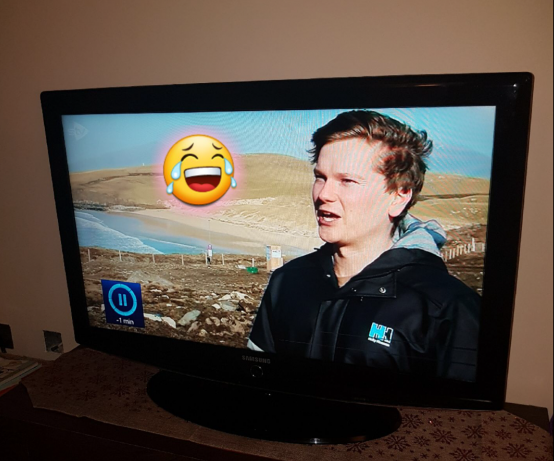 One of our most recent residents at Pairc Niseboist, Angus was also interviewed regarding his decision to move back to the Isle of Harris, so keep an eye out for the BBC Landward programme in April to catch them on TV! 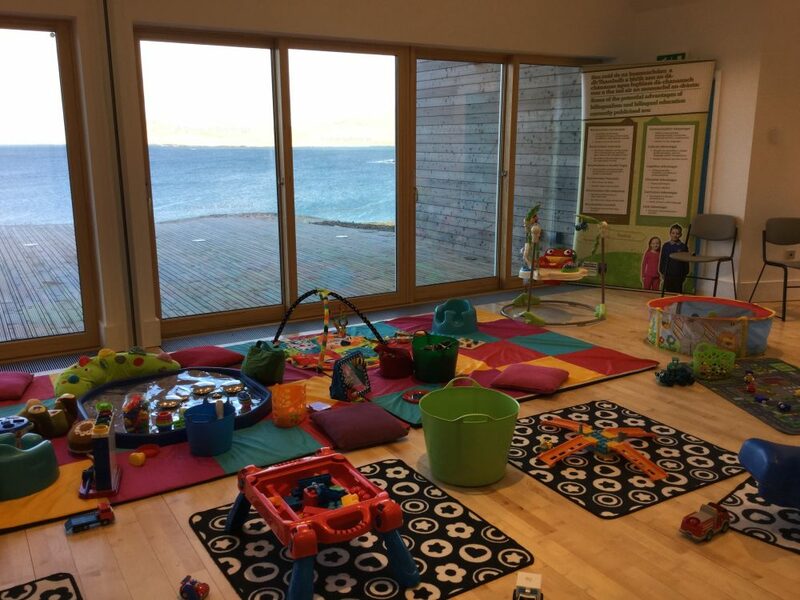 We welcomed the return of the Gaelic soft play group and were blessed with another stunning day. They also brought with them the biggest selection of toys I’ve ever seen. It was amazing to see such a big turn out in West Harris, and so many smiley wee faces (and a couple grumpy ones too)! 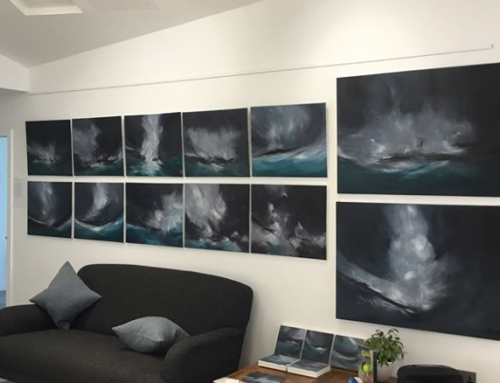 Saturday 3rd – Gill Thompsons opening afternoon for her exhibition ‘Hebridean Impressions’. Monday 12th – The return of King Creosote– tickets on sale online, at Talla na Mara, and in AD’s. Friday’s 9th and 23rd – Tai Chi classes. If you would like to host an event with us, please get in touch via: info@tallanamara.co.uk or call us on 01859 503 900.